Real Name: Luca Saporito and Anthony Middleton. Audiofly are a DJ/producer duo, Luca Saporito and Anthony Middleton. They met and started working together in the spring of 2002 and embarked on a prolific partnership based on their shared musical styles and experiences on the global DJ circuit. Their combined talents have created a powerful, somewhat experimental and original style of music, (some have called it a ‘deadly Techno meets Electronic House’) very current on the underground club scene right now. The rest of 2004 saw several more releases which slowly built and developed both the reputation and also production values of Audiofly. Release Yourself came out on the legendary Low Pressings (Single of the Week in 7 Update Magazine and featured on the Kiss 100 playlist). Mind Twista/I Can’t Remember on Fantastic House featured for 3 consecutive weeks on Pete Tong’s Essential Selection. Circles featuring talented Jazz vocalist Priscilla … out on Adrift, has become another underground monster …released just in time for Miami WMC 2006 , the track has become a timeless anthem, championed by the likes of Sasha, Sister Bliss and Nick Fanciulli. Audiofly started a new project entitled Audiofly X this year, which covers the deeper and minimal values of house music which has been gathering a lot of momentum on the more UNDERGROUND scene recently. Their first EP called Stolen Goods was signed to SAW Recordings and features on Satoshi Tomie’s 3D comp. The next release, Lost on Moodmusic was just released and immediately went into the top 10 sellers on Beatport for a couple of weeks. The current Audiofly X track 4Play (on German tech house label Get Physical’s 60th release)has also been met with some serious support with the first pressing selling out in an hour. In terms of remixes, Audiofly are becoming very sought after producers, and last year saw them remixing several underground anthems. Gus Gus - Need In Me released on Revox in July. The new Yoshimoto single, Want You to Hear me which is due in November. Kenzo- Working it Out, which has been floating around on mp3 for almost a year now and is still being played by many top DJs as a secret weapon….not for much longer as it’s due out before the end of 2006. Lastly, look out for the Audiofly remix of Claude Von Stroke - The Whistler also due out this December, and a remix of DJ Remo’s Mizar, out on Steve Lawler’s label VIVA (plays by Satoshi, Deep Dish, Tiga, Sasha and Digweed. Alongside their production schedule Audiofly are regular fixtures on the DJ circuit. During last summer, they were residents for Steve Lawlers night VIVA at Space, Ibiza. This summer has seen them play Pacha, Space, Amnesia and Eden on the white island. They also hold residencies @ Prinzip in Munich and Fever @ Viareggio , Italy where they feature on a regular basis. Currently, they are gigging all over the world. Chile, Mexico, Romania, Brazil, USA and Canada, Russia, Ukraine, China and so on, as well as all over Europe playing in some of the best clubs around. On home turf , they play monthly at Players (AKA/The END), and are regular guests at Mulletover, London’s only ‘real’ secret warehouse bash…. Undualtions 2, the follow-up to the highly successful compilation on Satoshi Tomie and Hector Romero’s SAW Recordings was released in November. This compilation is the first time Audiofly get to let loose on a mix album. 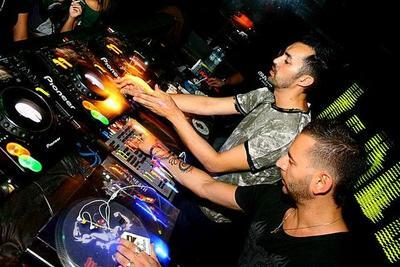 It is a solid blend of their own tracks, remixes and other material that Audiofly is currently spinning in their sets. All times are GMT -4. The time now is 02:42:27 PM.